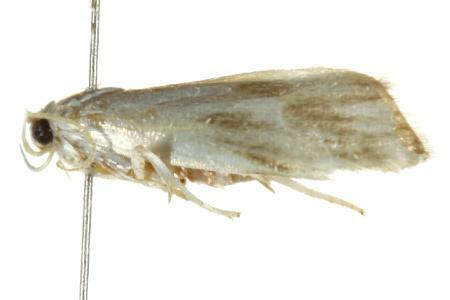 The adult moth has off-white forewings with dark markings especially at the wingtips. 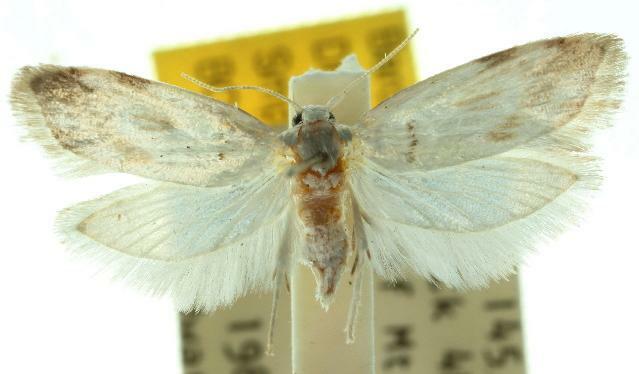 The hindwings are off-white with dark wingtips. Its wingspan is about 1.5 cms. Volume 1 (1913), pp. 143-144.